Kildare South Fine Gael TD Martin Heydon has said that the long awaited and much talked about online service station on the M9 near Kilcullen will now be developed following the resolution of legal impediments which had held up the development. The proposed service station will provide a break for motorway users on the M9 but will also create construction and full time jobs in the Kilcullen area. 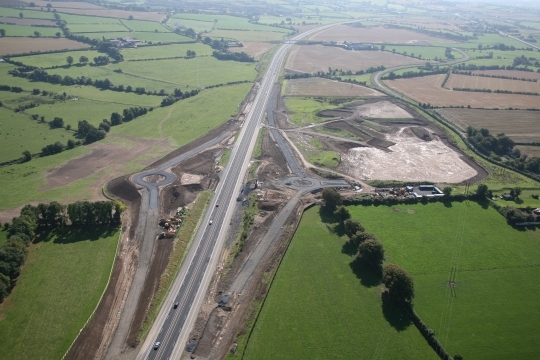 “The site for the online service station, which will only be accessed from the motorway, is already in place with ramps constructed to and from the motorway. Plans are now underway to move ahead with development of the full service station on the site. It is hoped that the service station will be operational by this time next year. “The development on the south side of Kilcullen will be a boost for the local area with about 100 jobs being created during the construction phase with a further 45-50 jobs created when the station is open and operational. “The service station will be operated by Circle K and will provide a much needed rest and services stop on the M9 where there is currently no stop between Carlow and Kill.